Have you ever looked for a film you’re excited to see, only to be surprised when you realize what you got isn’t what you expected at all? For example, mistaking 28 Days for 28 Days Later. One is a Sandra Bullock-starring melodrama while the other is a nightmare-inducing zombie flick. Choose carefully. To help you avoid such errors, here are 20 films that have similar titles, but their subject matter is drastically different. 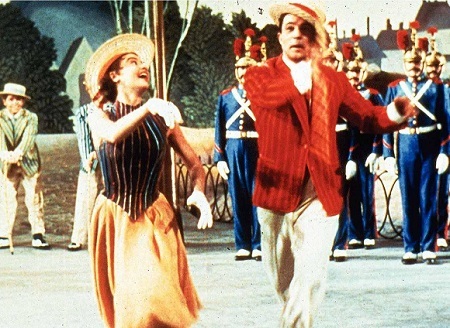 One is a Best Picture Oscar-winning musical starring Gene Kelly in his prime. 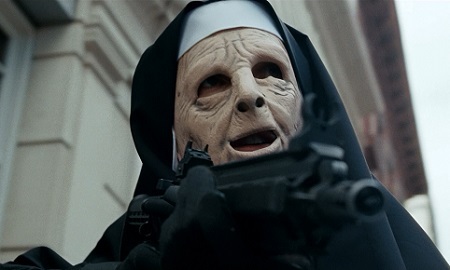 The other is a lackluster sequel to an Oscar-winning horror comedy. And they’re only separated by a single word in their title. Scary. Wait, doesn’t “Stood Still” mean the same thing as “Froze”? Not when you’re taking those words literally. 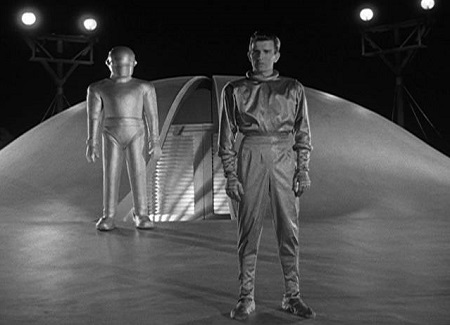 Robert Wise’s The Day the Earth Stood Still tells the story of an alien who has a message for all mankind, and he devises a plan to get people’s attention by shutting off all of the world’s electronics for half an hour. The Day the Earth Froze is an unintentionally hilarious Soviet-Finnish fairytale about a man who incurs the wrath of a witch who steals the sun, plunging the world into eternal winter. Oh, and it’s in color, so it’s definitely hard to mistake these two films. 1973’s The Last American Hero involves a lot of racing with fast-moving vehicles while 1993’s Last Action Hero is a satirical Arnold Schwarzenegger vehicle. The first film stars a young Jeff Bridges who was still in the process of building his career as a serious actor. The other film has Schwarzenegger poking fun at his well-established macho persona. As a fun side note, The Last American Hero had Valerie Perrine and Ned Beatty in supporting roles. Five years later, they shared the screen once more as Lex Luthor’s bumbling sidekicks in Superman: The Movie. Plus, Bridges and Schwarzenegger went on to co-star in 1976’s Stay Hungry. Little Big Man tells the life story of a 121-year-old man who is the only surviving member of General Custer’s regiment after the infamous Battle of Little Bighorn. 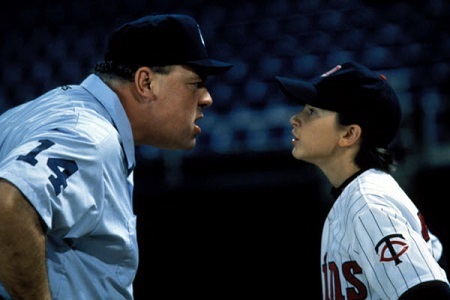 Little Big League tells the story of the 12-year-old owner and head coach of the infamous Minnesota Twins. Dustin Hoffman gave his all to that role back in 1970 while Luke Edwards gave an endearing child actor performance in his 1994 baseball film. 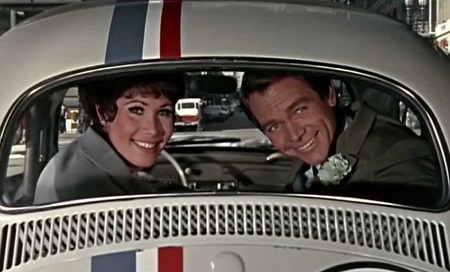 The Love Bug was the highest grossing film of 1969 and it helped establish the career of the late Dean Jones. The Love Guru was one of the biggest bombs of 2008, and it effectively ended the live-action career of writer/actor Mike Myers. One is a G-rated Disney movie filled with hilarious gags while the other is a raunchy film that doesn’t offer much in the way of actual comedy. Jones made several appearances in Herbie sequels and remakes over the years. It’s rumored that Myers will return for a fourth Austin Powers movie, but I’ll believe it when I see it. 1985’s Mask is based on a true story and it shares a lot in common with The Elephant Man, one of my favorite movies of all time. It’s about a young man with a severe skull deformity who does his best to fit in with his junior-high classmates. 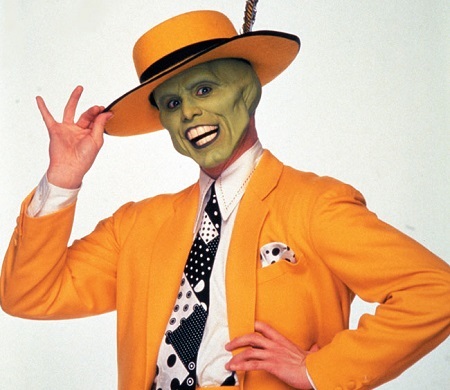 1994’s The Mask is based on a comic book and it’s basically an hour and a half of Jim Carrey doing his best impersonation of a cartoon character. Both films are great for what they are, but one is definitely a drama while the other is pure comedy. Did the Muppets ever star in an ‘80s slasher movie? No, but the same year that the original A Nightmare on Elm Street movie came out, The Muppets Take Manhattan took to screens. It’s all about Kermit and his pals hitting the big time in the Big Apple. 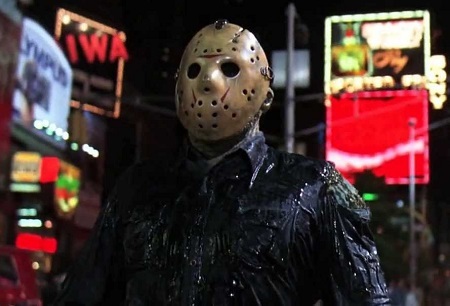 Okay, technically the full title of Jason Takes Manhattan is Friday the 13th Part VIII: Jason Takes Manhattan. But I doubt anyone ever says the full title. This long-running horror series ran out of ideas long before this film came along, but at least this one has some funny moments as the killer goes on a rampage through New York City. Our Town feels like a play that was filmed. It’s a quaint little film about the loves and lives of a group of people in a small town in early 20th century New Hampshire. The Town, on the other hand, is a crime drama about a man who’s in deep with the mob and he can’t seem to get out without hurting everyone around him. If you’re in the mood for a leisurely walk through old-fashioned Americana… don’t watch The Town. The Thin Blue Line is a documentary that makes a compelling case that a man was wrongly accused and convicted of a murder he didn’t commit. In fact, the film was so compelling that the man wound up being released from prison a short time after the film debuted. 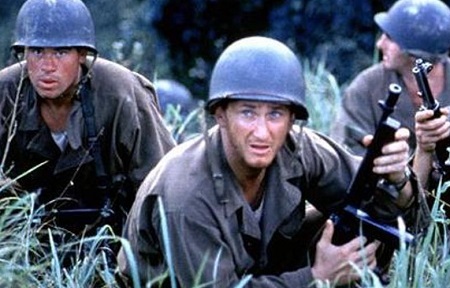 Ten years later, a movie entitled The Thin Red Line debuted. This is a World War II film and it has an amazing cast, including Sean Penn, Jim Caviezel, George Clooney, John Cusack, Woody Harrelson, Nick Nolte, and John C. Reilly, just to name a few. Both of these titles mean the same thing. But one is a clever twist on Sherlock Holmes while the other is a clever twist on Jane Austen’s Emma. 1988’s Without a Clue has the same premise as the TV show Remington Steele. 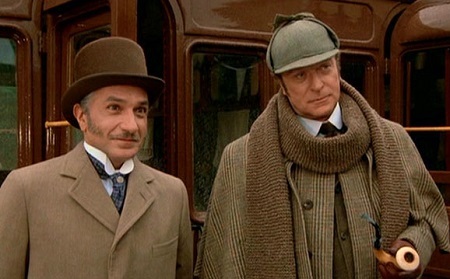 It turns out that Dr. Watson is the real genius and Sherlock Holmes is just a useless actor who pretends to be a genius detective while Watson does all the work to solve cases. Michael Caine and Ben Kingsley are brilliant, by the way. Clueless is a teen comedy about the foibles of high school popularity and romance. It was an important film that jumpstarted the careers of young actors Alicia Silverstone, Brittany Murphy, and Paul Rudd. Sometimes it can be fun to find the wrong film. You might accidentally discover the 1998 crime drama Twilight, which stars amazing actors like Paul Newman and Gene Hackman while looking up another more famous film with that same title. And mistaking most of these films isn’t the end of the world. Just don’t ever confuse Star Wars with Star Trek. This entry was posted in Movie Matchups and tagged films, fun, funny, humor, movie review, movies, muppet movie, muppets, videos, war movies. Bookmark the permalink. I would like mashups. Imagine: “The Last American Werewolf Virgin in London”. It could be awesome!